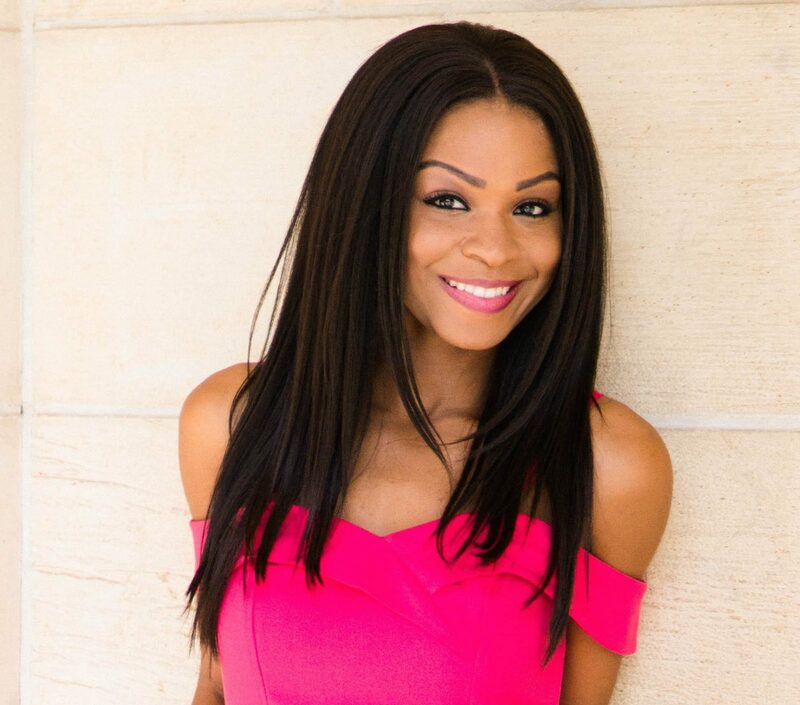 Exclusive withPersonal Development Influencer, Melanie Eke! I had such an incredible time catching up with TV/Radio Personality & Personal Development Influencer, Melanie Eke. I have always been a fan of hers from the time we met, and it’s motivating to hear all the progress she’s made in her career journey & the difference she’s making on her nonprofit. Rachel Dares: Give us your backstory. Melanie Eke: I was born and raised in Los Angeles, CA, and was the youngest sibling in a blended family. Growing up I was always involved in activities — from cheerleading to theater to track & field, and more! I’ve always had a passion for the Entertainment industry, and knew from a young age that I would work in Entertainment in some capacity, whether it would be in front of the camera or behind the scenes. Although I’m a creative, I have a business mindset, having earned my Masters in Management and Leadership to ensure the success of my entrepreneurial ventures. Rachel Dares: What inspired you to go into TV & Radio? Melanie Eke: I’ve been interested in media since I was in high school, but I actually didn’t think I would find myself on the talent end of TV or Radio. Although I majored in TV & Radio in undergrad, at the time, I was focused on the business side. I wanted to go into TV Marketing. A few years after graduating, a business organization that I was a member of asked me to interview their guests for a highlight video of their event. I had never thought about hosting and interviewing, nor did I know the first thing about it! But, it sounded interesting, so I gave it a try… And LOVED it! I started interviewing at events wherever I could, and was eventually asked to co-host a digital radio show. From there, I eventually found myself hosting local TV shows, red carpets, and live events. Eventually, I decided to get some formal training and applied for a hosting workshop through NBC Universal in NYC. I got in, learned a lot, and returned to LA to continue studying with the instructor. From there, the rest was history. Rachel Dares: What does it mean to be a Personal Development Influencer? Melanie Eke: Being a Personal Development influencer means to impact the journeys of others as they strive to become their best selves. My focus in particular is on helping people discover fulfillment in everything they do. So, it’s not just about achieving success, it’s about achieving fulfillment on the Road to Success. I believe that life is more worthwhile when we are fulfilled in the work we do, and the ways we spend our time. Rachel Dares: Beyond your TV & Radio gigs, you have also as of recent, founded a nonprofit organization. Tell us a bit about that. Melanie Eke: Interestingly, being on TV inspired the nonprofit. I participated in a competition reality show called “Battle of the Ex-Besties” on Oxygen, and after going through the process of being reunited with an ex-bestfriend, and having to work together for an entire season, I started thinking a lot about friendship and the way the media portrays it. I realized that much of the interaction between women in the media is negative, even among women who call themselves friends. Many of the viewers consuming these images are young ladies. So, I felt compelled to counter those images with a workshop that empowered young ladies to develop and maintain healthy friendships through defining their true values in a friendship. Friendship is one of the best support systems we have, so it’s important that we nurture and value our friendships! After facilitating the first workshop for a group of middle school students, I realized the true necessity of the work I was doing. I started speaking at more schools, and was being requested to facilitate the workshop for various organizations, and even an LAUSD Young Women’s Leadership Conference. So, in November 2017 I officially incorporated the nonprofit My Friendship Values. Our goal is for all young ladies to define and revisit their friendship values as they make and keep friends, so that we can eliminate toxic friendships. Rachel Dares: What 5 tips can you give us in forming healthy friendships? 1- Don’t assume that your friend knows what you’re thinking, or what you mean, when you haven’t even attempted to explain it to them. Although I trust that my friends know me, I don’t expect them to be mind-readers. 2- Communication serves no purpose if you’re not LISTENING to what your friend is trying to tell you. 3- Step outside of your personal perspective in order to gain understanding. Our experiences shape our mindsets, so no two people view the world in the exact same way. When in a disagreement, keep in mind that these differences are always at play. 4- Forgiveness is for you! Forgiveness is about freeing yourself from the pain, so you don’t continue to carry it within the friendship or into your other friendships if you choose to end this one. 5- Get to know your friend’s heart, and be vulnerable enough to allow them to get to know yours. This is what true friendship is made of. Rachel Dares: If given an opportunity to have lunch with anyone in the world, who would it be and why? Melanie Eke: Oprah, because I would be honored to assist her in inspiring, motivating, and empowering countless people around the world. Rachel Dares: What legacy do you ultimately want to leave behind? Melanie Eke: Ultimately, I want to shift our society’s culture towards striving to be ourselves and pursuing fulfillment in life. Rachel Dares: What projects are you currently working on now? Melanie Eke: I’m a co-host on the new KLBP 99.1 FM Hollywood Show Live- On the Air radio show in Long Beach, CA, which is also televised via syndication. I’m also working on a book about friendship, which should hopefully be released by this Fall. Other than that, I’m working on growing the nonprofit, creating inspiring content, and Hosting live events. Rachel Dares How can we connect with you? Melanie Eke: You can connect with me via social media. I’m on Facebook, Instagram, and Twitter as @MelanieCEke. I will also be launching MelanieEke.com by this summer. 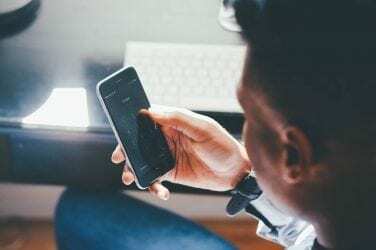 Protecting yourself online: Who’s looking at your phone?